Something appears to have not worked properly. The session number was omitted or is invalid. 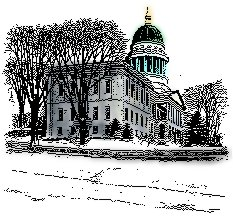 You may let us know that you had a problem by contacting us at webmaster.legis@legislature.maine.gov, or you may call us at (800) 301-3178. We apologize for the inconvenience and hope to have the problem resolved soon.